Liten og hendig stansemaskin for små tynne dies. Max bredde er 2,5 inch/5 cm. I denne pakken følger det med 20 deler. Maskin, kutteplater, instruksjons manual, dies, stempel og en embossingfolder. 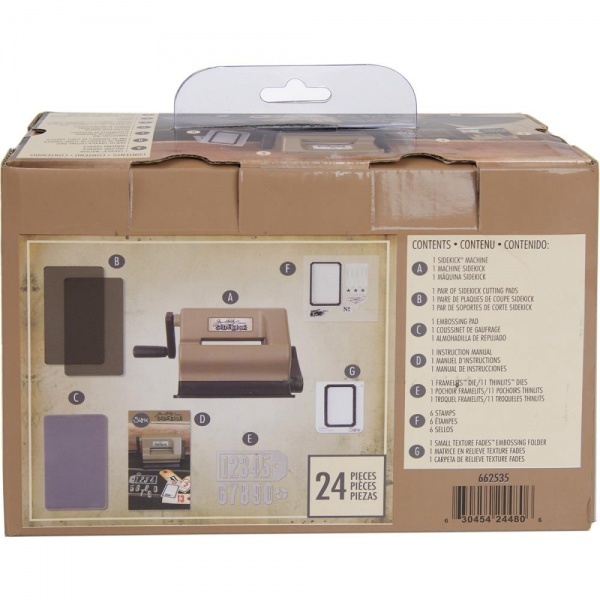 Affordable and portable papercrafting system with 20+ pieces. 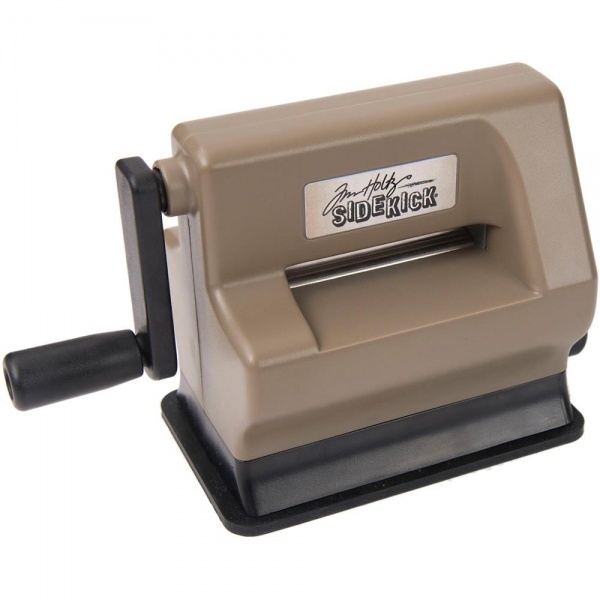 Cuts and embosses thinner materials such as paper, cardstock and vellum. 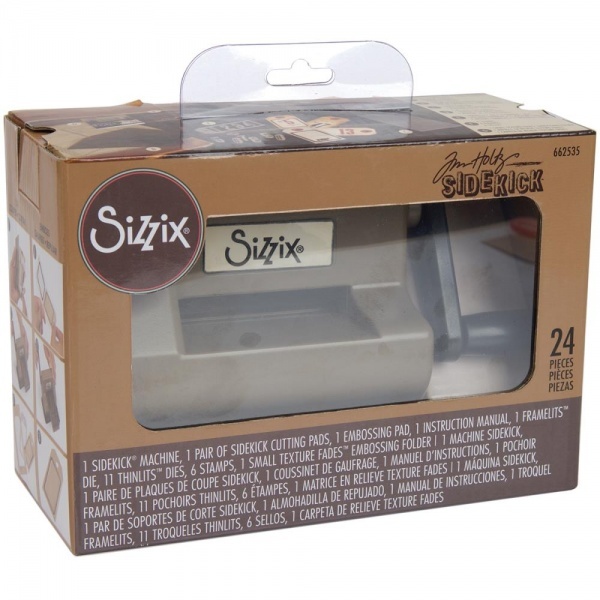 Kit includes machine in custom Tim Holtz Alterations colors, along with dies, stamps and one Texture Fades Embossing Folder. 2.5" wide opening to accommodate Tim's Thinlits and Framelits Dies and Texture Fades Embossing Folders. 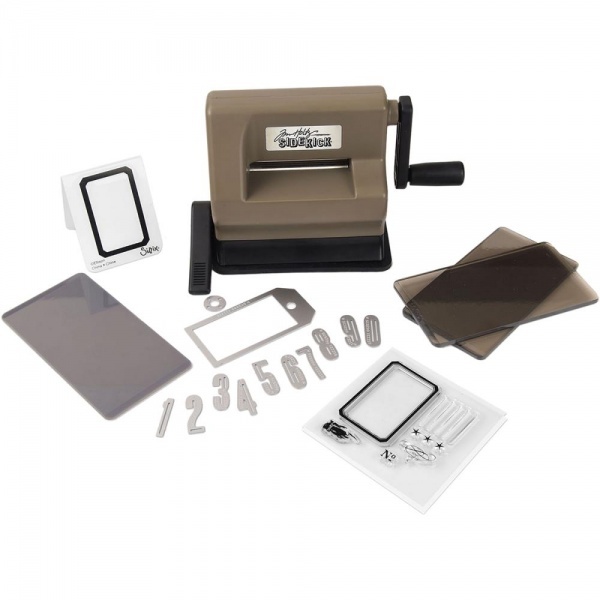 In the box: 1 Sidekick Machine, 1 pair of Sidekick Cutting Pads, 1 Embossing Pad, Instruction Manual, 1 Framelits Dies, 11 Thinlits Dies, 6 Stamps and 1 Small Texture Fades Embossing Folder.